Black sitcoms were staples in the black community in the 1980s and ‘90s. They were reflections of the issues black viewers faced and represented what the community aspired to. Today, though, there are hardly any black sitcoms on television. The Carmichael Show, Tyler Perry’s For Better or Worse and Black-ish are all that remain. While history often repeats itself, the “Golden Age” of black sitcoms isn’t showing signs of coming back. That’s not easy to swallow, but it has to be done—because the Golden Age wasn’t as golden as we remember it. For instance, The Fresh Prince of Bel-Air, for much of its run, wasn’t groundbreaking television. Its slapstick humor was unapologetically hackneyed and the characters’ misadventures were neatly wrapped up with moral lessons at the end of each episode. The show was more or less a boilerplate of The Cosby Show for a younger audience, from a network desperate for a hit. However, there’s one scene that still moves me to tears each time I watch it. In “Papa’s Got a Brand New Excuse,” Will’s deadbeat father, Lou (Ben Vereen), appears after being absent for 14 years. Will’s happy to have him back, but soon, Lou makes up a lousy excuse and leaves Will behind. Will spills out his frustrations, derailed by dejection. He falls into Uncle Phil’s (James Avery) arms and asks, “How come he don’t want me, man?” I’ve never experienced anything more real in all the thousands of hours of television I’ve watched, and still nothing has eclipsed that cathartic moment. It was a perfect representation of my relationship with my own father. But for all the sitcom nostalgia that’s incarnated shows like Fuller House, the short-lived Girl Meets World and the re-imagined One Day At A Time, a remake of Fresh Prince is not the direction black television needs to take. Instead, it’s imperative that black television keep moving forward—much as I moved forward from the absence of my father. The contemporary sitcom itself has evolved. Replacing the multi-camera format, replete with live studio audience or laugh track, is a single-camera format reminiscent of dramas and feature films. What a single-camera sitcom does differently is provide an opportunity for nuance. The longer takes, the moodier lighting, twice the amount of time, and the freedom that comes with from non-studio settings create a more cinematic experience. The execution of the script can’t lean on a laugh track to underline jokes and “Aww!”-ing to signal illusory poignancies. This leaves the narrative open to interpretation, blurring the line between situation comedy and drama. The sitcom also comes with responsibility: Television is often a reflection of its audience. In Black-ish, consider Andre “Dre” Johnson’s (Anthony Anderson) earliest dilemma. Dre works for an advertising agency, and he’s promoted to the position (he thinks) of senior vice president. He becomes frustrated when he learns that he’s actually been named Senior Vice President of the company’s “urban division.” He acts out, creating a controversial presentation during an office meeting that is “explicitly” urban. He nearly loses his job trying to “keep it real.” But Dre soon realizes that he’d be unhappy no matter what: If the SVP of the urban division were a white person, he’d be just as upset as he is at being pigeonholed into the position himself. Dre can’t win unless he embraces his situation, a decision that nonetheless garners criticism from himself, his peers and even his family. Being an upper-middle-class black family in a predominantly white neighborhood already presents enough problems. It’s uncomfortable, but the family copes with it—and learns to laugh along the way. Is America ready to laugh at itself as a diverse collection of people with complicated issues and dualities? Actually, yes. Girlfriends spinoff The Game attracted 7.7 million viewers for its Season Four premiere on BET in 2011, setting the record for the most-watched sitcom premiere in cable television history. The Game signaled a turning point: According to a report by Nielsen in February, Black-ish, along with Scandal, How to Get Away With Murder, Insecure, Atlanta and others— all of which debuted after The Game’s milestone—are attracting at least 50 percent non-black viewership. But only one of the series mentioned in the report (Black-ish) is a black-led sitcom in the traditional vein. Hollywood appears to recognize that narratives focusing on the unique cultural experiences in America are in demand, and the crossover audience for these series is evidence of that. Black television has evolved, and more of the spectrum of the black experience is being portrayed. Nostalgia for the classic black sitcom now seems unnerving and regressive. In 2009, my final year at Temple University, I was one of about a half dozen students who were invited to a luncheon with Bill Cosby. I sat right next to him, actually, and his words inspired me as a writer and informed me about what responsibilities were bestowed upon me as a black artist. It’s bizarre meeting someone you look up to. Cosby became more than just a fictional character or a Hollywood actor. Picture it: The actor who played the dad I looked up to as a kid was sitting next to me in real life in the school he graduated from—the same fictional dad who always hoped his kids would go to the same college as he did. I had fulfilled the dream. The parallel was surreal. What role models I found in real or fictional life were few and far and between. When I found one, I held on tight. Even then, The Cosby Show was not without its detractors. In a 1998 essay in Jump Cut, Mike Budd and Clay Steinmann noted that “for many white viewers, however, this ‘positive message’ may fortify racism at least as much as it dilutes it… The Cosby Show seems to confirm the belief that racial inequality in the United States remains a function of the inadequate aspirations of its victims.” The essay etches Cosby and co-star Phylicia Rashad as models of success in show business, as if a black doctor and a black lawyer raising a family together was largely a mythical scenario. Alternatively, Herman Gray’s 1989 essay, “Television, Black Americans, and the American Dream,” grounds his criticisms in understanding: “While the show’s compromises hardly please everyone, for large numbers of both blacks and whites, then, Cosby’s image of painless racial harmony seems to have utopian appeal.” It was hard for poor black families in America to aspire to be like the idyllic Huxtables, but it wasn’t impossible. 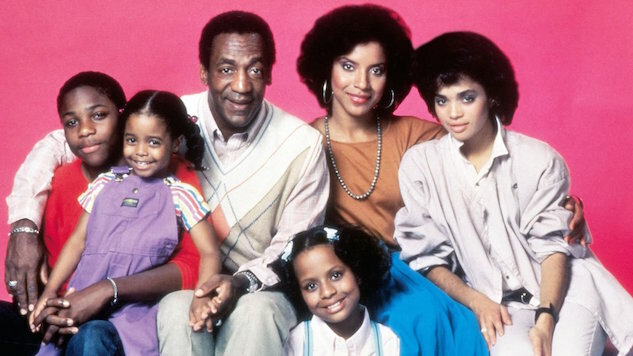 What The Cosby Show did for the black community was give hope in their pursuit of success. Growing up in a single parent, working-class home, seeing a black family like the Huxtables played a huge role in my aspirations as an artist. I never expected the utopia portrayed in The Cosby Show to be mine, but the show affirmed me to pursue my own. A family, a rewarding job and a place to call home was a possibility for me, and I recognized that early on. With my own father mostly absent, I adopted role models in my life: Whether it was my sixth grade teacher or a Hollywood actor, I drew inspiration from strong black men. I largely ignored criticism of The Cosby Show until the controversies surrounding Cosby began to receive renewed attention in 2015. I experienced simultaneous feelings of disappointment, heartbreak and confusion. I will never defend sexual assault, but his contributions are foundational to my growth as a black man and as an artist. Part of my upbringing now feels spurious, making my nostalgia problematic and disorienting. The person I looked up to turns out to have been critically flawed, thus transforming what inspired me to pursue my dreams and, ultimately, reinforcing the criticisms I’d ignored: Can I trust the role models with whom I grew up? We can only take bits and pieces of the people we look up to, because the sum of their parts might amount to something more negative. If you’re not careful, looking back at nostalgia can leave you empty. A network launching Fresher Prince is something best reserved for wistful dreams. The classic black sitcom is an outdated form, as Black-ish illustrated in its Good Times parody last spring. In the episode, Rainbow (played by Tracee Ellis Ross) vents about “living in the projects” and “being another statistic” after becoming pregnant at an early age, and Dre’s solution is to try out for the NFL. These are fatigued stereotypes that the show pokes fun at but would otherwise be underwhelming in Black-ish’s linear story. Progress is more important for the black community than nostalgia. Restoring dated narrative forms and themes only stunts that growth. Today, television covers more of the spectrum of the black experience than it ever has, and diverse audiences are supporting these shows more than ever. The classics, like Fresh Prince and The Cosby Show, have a place in history—not in the future. I find Dre in Black-ish to be a much more relevant role model than any Huxtable was during my upbringing. The classic black sitcom isn’t a necessary part of the black experience anymore, and that’s okay. We’ve outgrown it, and the apparent lack of interest in reviving the black sitcoms of yore is evidence of growth, not diminution. I can’t say that I’ll never ask myself “How come he don’t want me, man?” again. The answer isn’t as simple as ABC. It’s messy, it’s convoluted and it’s difficult to articulate. All I know is, I’ve gotten quite far despite a broken heart. I haven’t forgotten my roots, but I’m looking forward to the progressive Afrocentric TV stories of the future as sources for insight and healing. Kyle is a writer and author of the fiction novel The Recital. He is a West Philadelphia native, an avid gamer and otaku. Follow his nerdiness on Twitter @coolyoshi64 if you have nothing else better to do.